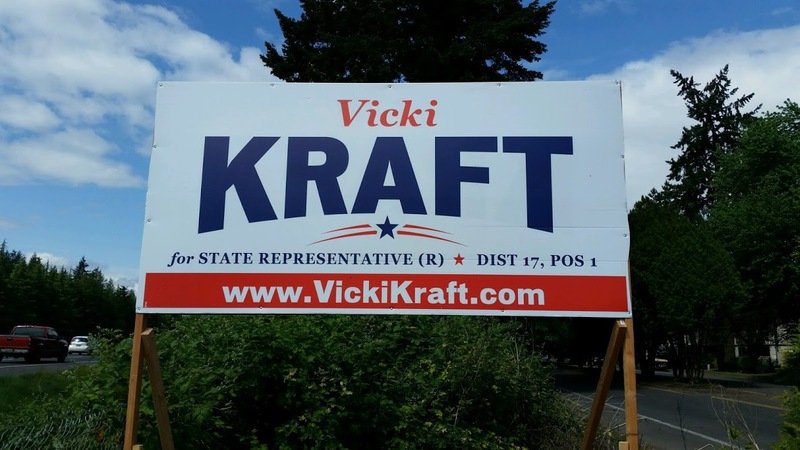 More yard signs up in the 17th Legislative District – thank you for your support! This lil’ one got it perfectly – the Kraft Team is #1! 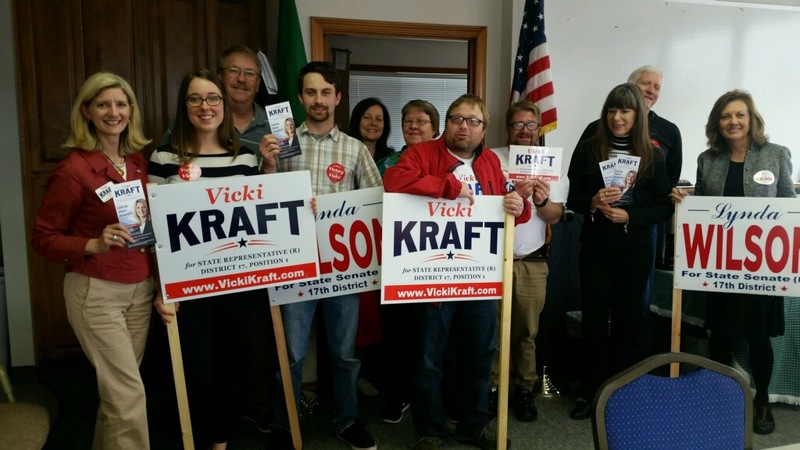 I’m so thankful for all the Kraft team members, volunteers and supporters who have been part of putting the Kraft campaign into a leading position for the State Representative, 17th LD, Position 1 race. Appreciate you all! Onward and upward! Welcoming another new business to the 17th Legislative District! It was fantastic to celebrate the Grand Opening for Century Link in the 17th Legislative District near NE 114th Ave. and NE 28th St. this morning. 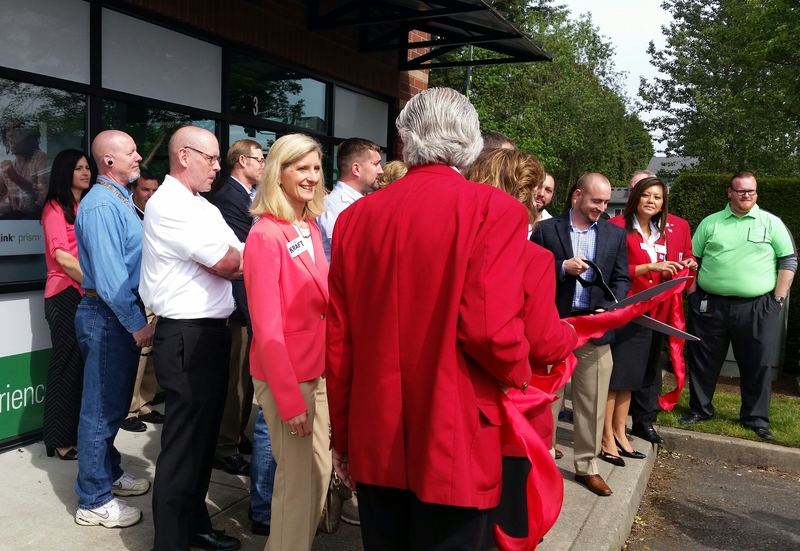 Several people gathered for the Greater Vancouver Chamber of Commerce Ribbon Cutting, it was quite an event. Welcome Century Link to the 17th LD! 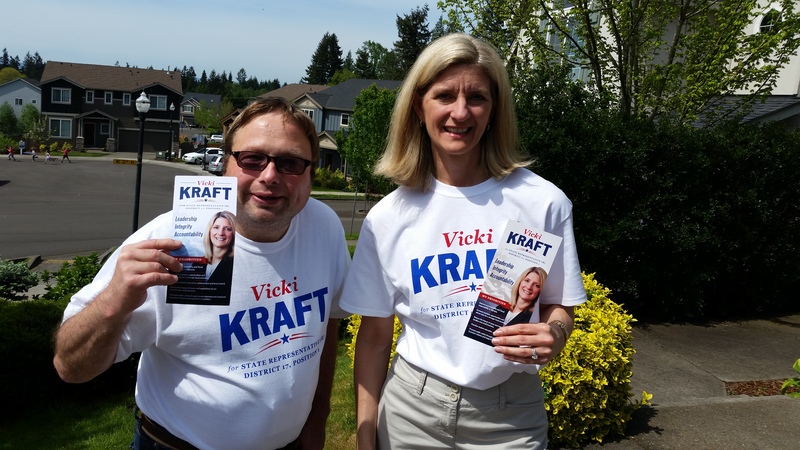 Getting out the 17th LD vote for Vicki Kraft and Lynda Wilson! 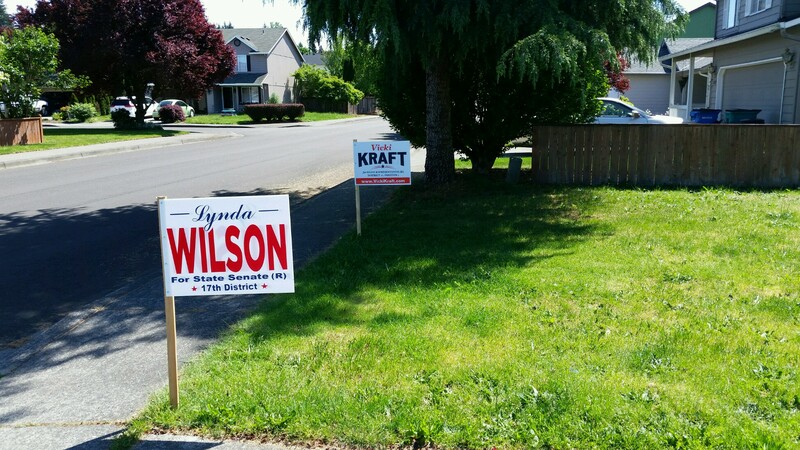 The Kraft sign team has been getting out all over the 17th Legislative District! It was a very productive day for us. Builders Industry Association of Clark County, Membership Appreciation Event! 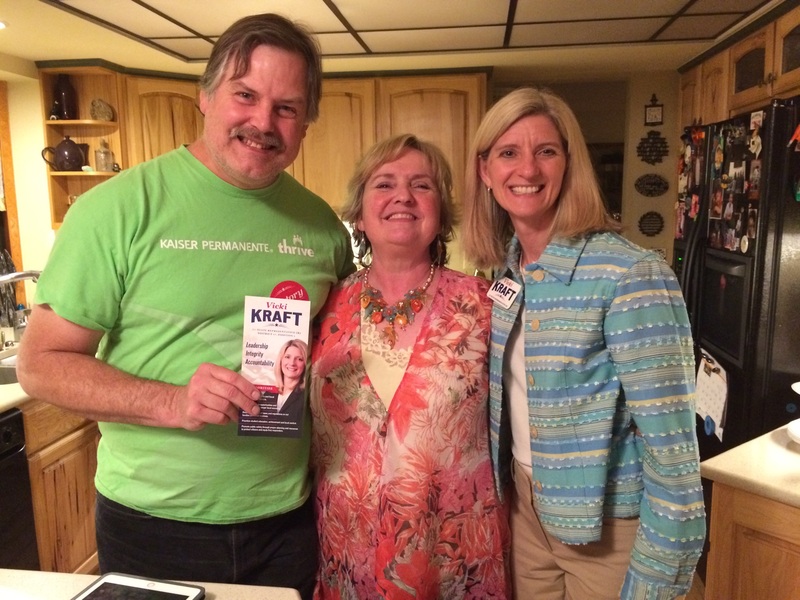 Meeting 17th LD Voters and Getting Support! 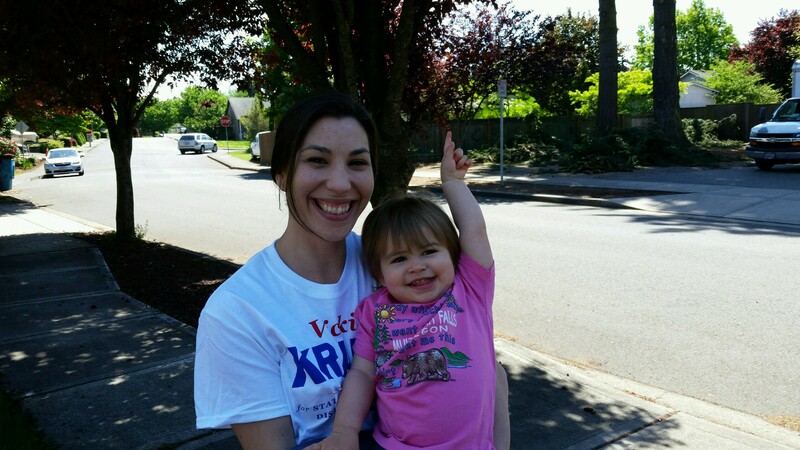 Today was another super day to be out meeting neighbors in the 17th Legislative District! 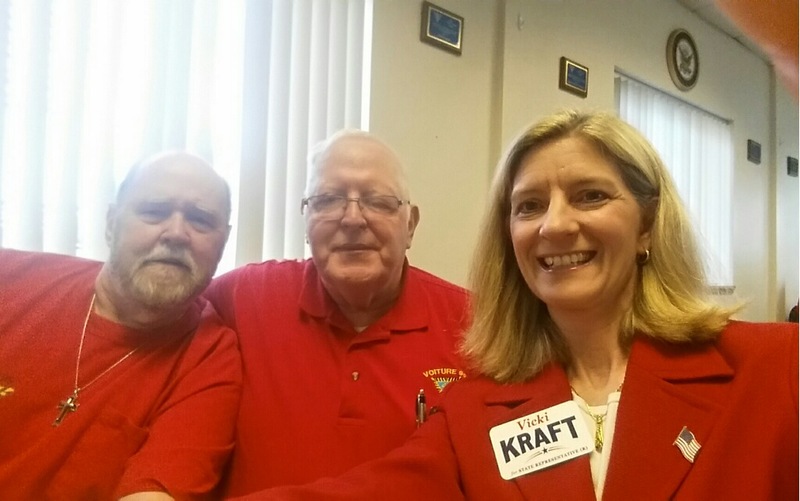 Many friendly discussions, more yard sign locations and votes. Thankful for the volunteers supporting me and helping to make it happen. It doesn’t get better than this out on the campaign trail! 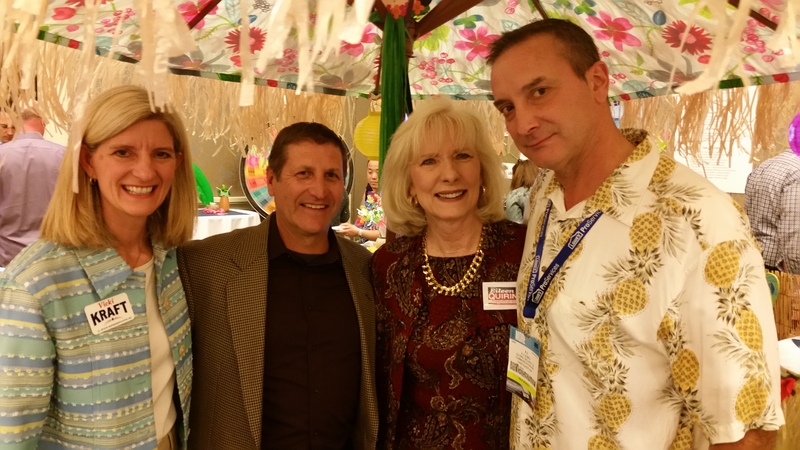 Clark County Realtors Association – Annual Fundraising Event! What a fun event! The Clark County Realtors Association held their annual fundraiser this afternoon. 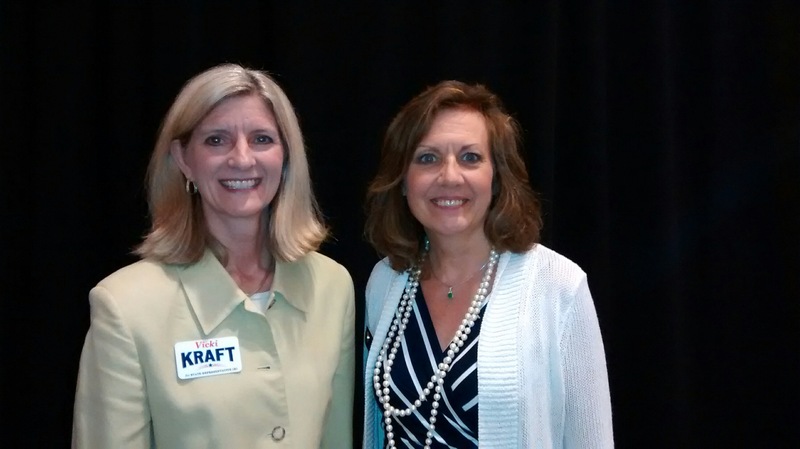 It was great to meet some of the association leaders, realtors, and see some old friends as well. They packed out the attendance and got some great support!